Interview with SF Signal, March 22, 2016. Hu Media interviewed John Johnson and me at our April 1 appearance at the … Read more. In 1959, a film was released that would live in the minds and hearts of science fiction and horror fans for years to come. That film was Edward D. Wood, Jr.’s magnum opus, “Plan 9 From Outer Space,” a story about aliens re-animating the dead in order to kill Earth’s population. Genre audiences could not resist the exuberance and love for the art of filmmaking that showed in Wood’s work, and the movie has become a cherished cult classic. Now the long awaited remake of the classic film is here! 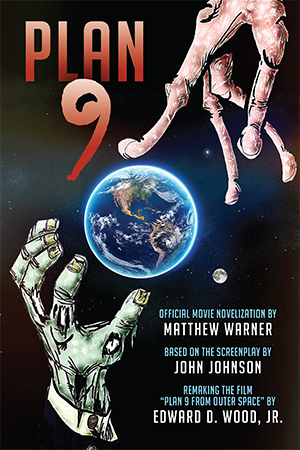 In this edge-of-your-set, visually stunning, re-imagination of the original story, “Plan 9” is a spectacular sci-fi/horror adventure with jaw-dropping effects and zombies galore! 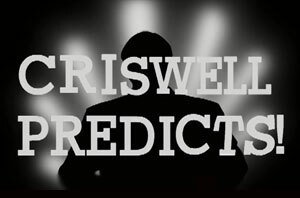 It’s the film Ed Wood wished he made!